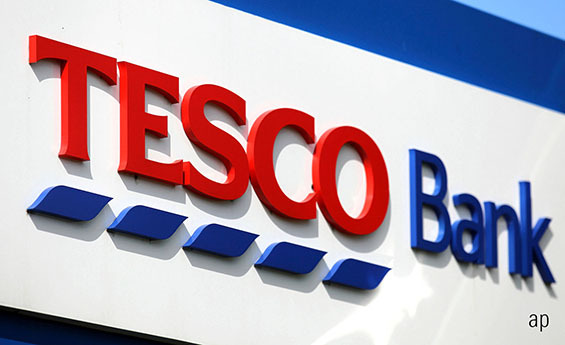 Tesco (TSCO) shares have risen this week after 2019 preliminary results showed UK and Ireland like-for-like sales up 2.9%, with core UK sales up 1.7% like for like and Booker up 11.1%. Group profit growth, including Booker, was up 35% to £2.21 billion. This is almost 9% higher than our full-year estimates due to better profitability in the international segment, faster Booker synergies and cost savings delivery – £532 million versus £450 million in our model. Management reiterated guidance on synergies and medium-term margin targets and raised the dividend at 5.77p per share, 15% higher than our expectations. Given these better-than-expected results, we expect to raise our 253p fair value estimate by a mid- to high-single-digit percentage to reflect the time value of money (3%) and better-than-expected underlying profitability (3%-4%) in the international business. The current share price is around 248p after gains fuelled by stronger annual results. Although like-for-like performance in the core UK market was not eye-popping – up 1.7% versus 2.2% in our model – it was better than Morrison's 1.5% and Asda's 1% in the fourth quarter. Profitability-wise, this year's UK and return on investment operating income include a benefit of £52 million relating to a change in Clubcard accounting estimates and no losses from Tesco Direct – estimated at £ 94 million in the 2018 financial year – which was closed back in July 2018. We believe Tesco is the best-positioned big four grocer in the UK, given its channel exposure, scale, and high quality exposure in the dynamic wholesale market through Booker. The latter continues to grow rapidly, with 11.1% like-for-like growth during the year. We expect lower but still-high like-for-like growth for Booker, driven by management's £2.5 billion growth aspiration. In Asia and Central Europe, top-line growth was broadly in line with our forecasts, but profitability was 34% ahead of our estimates, driven by cost reductions, profit mix (Europe) and supplier negotiations concluding (Asia). In Poland, Tesco closed 62 lossmaking stores from 14 stores in the third quarter, evidence of the aggressive approach the grocer is taking to stem profitability issues in the region. The company announced that its capital market day will take place on June 18, when management will share some of Tesco's "untapped value opportunities."